ABC 40 MW - 24 generator sets with low hours > | Fymas ApS. Extra equipments: Visit our website and see more details and photos: Ref.no 4873 / 9 units of SDMO + Ref. no. 4856 / 15 units of FG Wilson. All complete with MV Line connector, Digital control center, Relay protection/supervision, Ventilation dampers, Complete documentation for plant, engines, generators and electrical diagram etc. 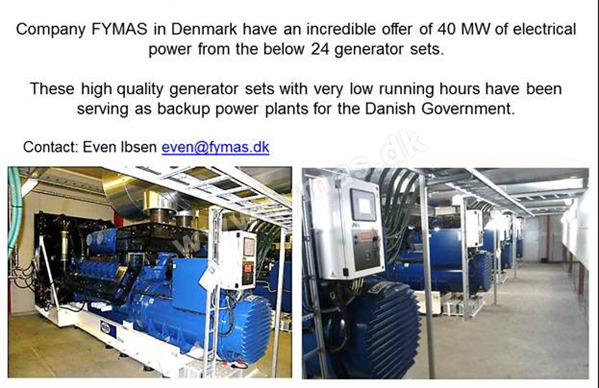 Comments: We can offer 40 MW of electrical power from above mentioned 24 generator sets all built on their separate own frame – these high quality generator sets with low working hours has been serving as backup power plants for the Danish (Europe) government. 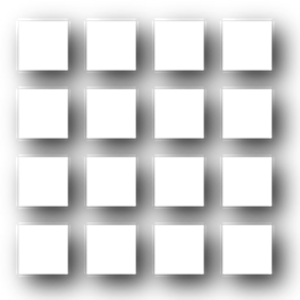 The gensets has all between only 80 - 850 hours!